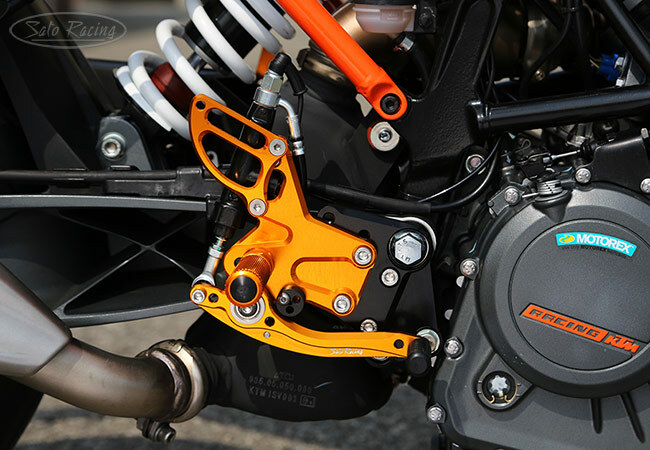 SATO RACING Rear Sets for 2017 and up KTM 250 and 390 Duke are a track-engineered design, CNC-machined from lightweight and high strength billet aluminum and anodized in your choice of all-Black, or a vivid Gold finish with contrasting Black base plates. 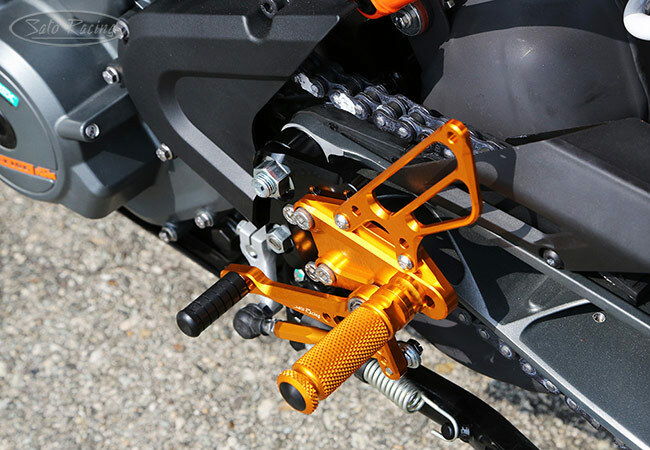 Modular design lets you select from 8 foot peg positions in a wide adjustment range, bringing your feet higher up compared to stock. 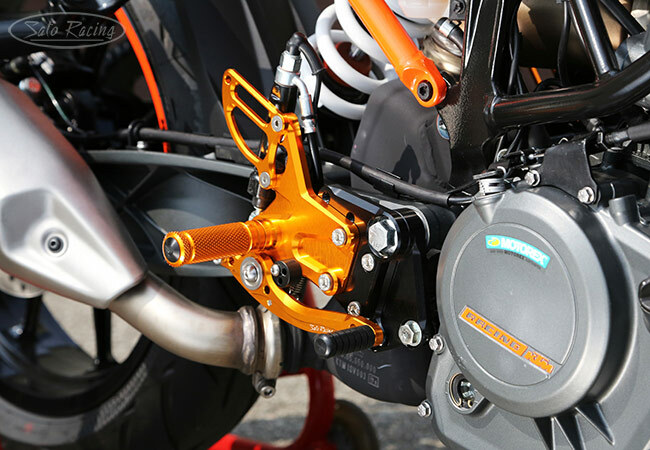 bearings for smooth, precise operation with a solid feel. 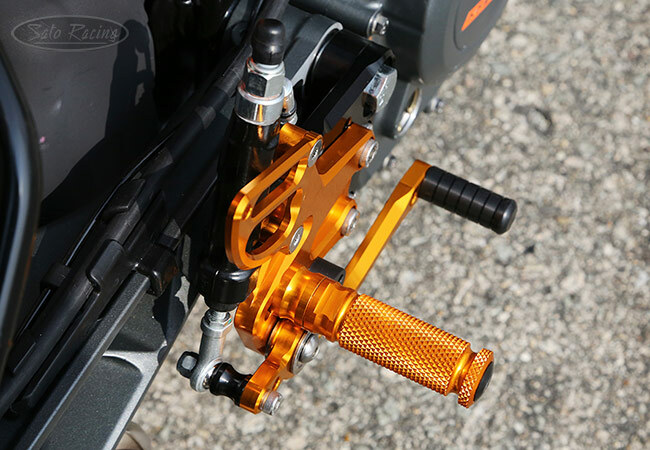 adjusted, so you find the ideal foot position to suit your riding style. 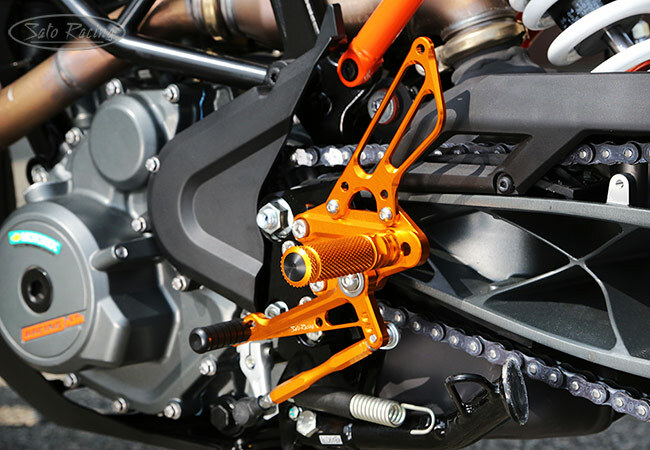 The foot pegs have a deeply knurled pattern for excellent grip characteristics. 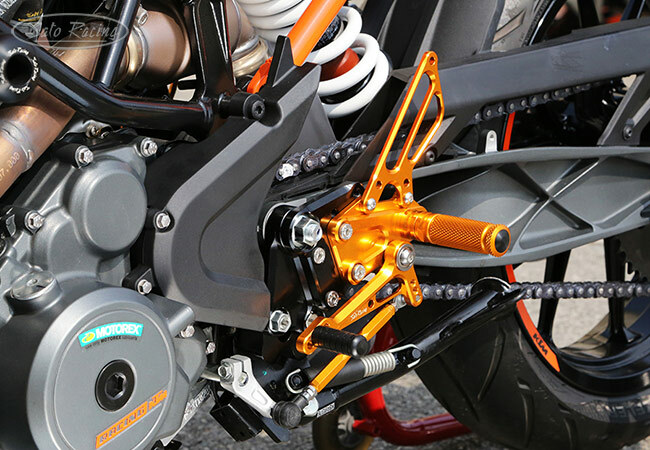 These Rear Sets provide a stock shift pattern. 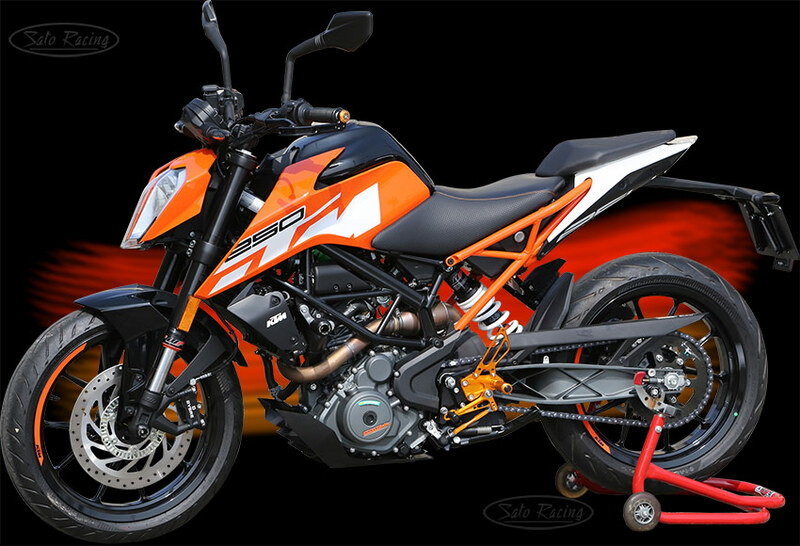 (Reverse / GP shift pattern is not an option). 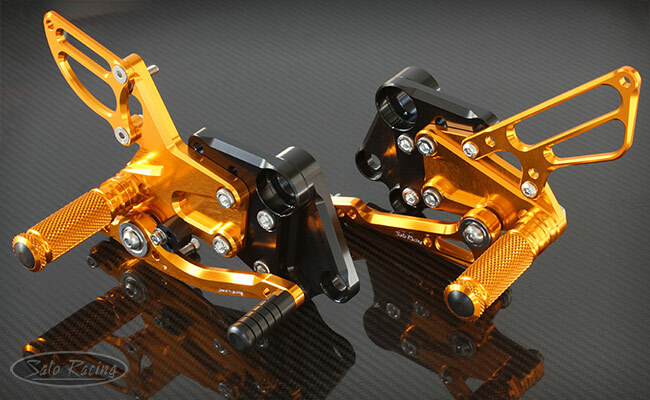 Choice of all-Black anodized finish, or vivid Gold over contrasting Black base plates. of the above photos, the actual color is Gold, not orange.